Hakeem Al-Araibi fled Bahrain and is currently is a player on Melbourne’s Pascoe Vale Football Club. 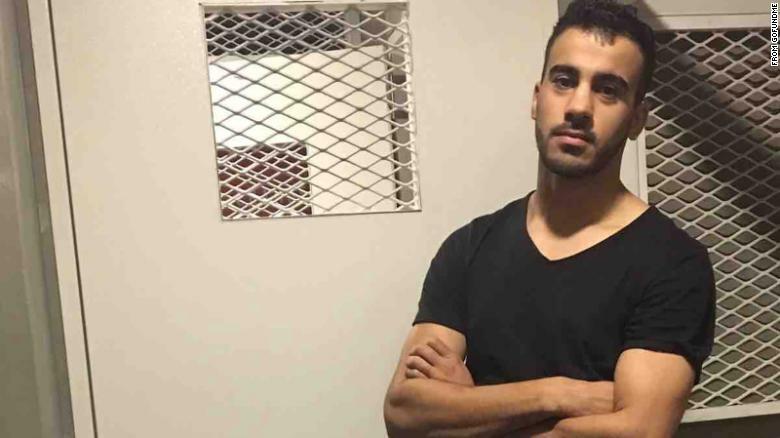 (CNN) A former Bahraini national football player who was granted refugee status in Australia has been arrested in Thailand and may be sent back to Bahrain. Hakeem Al-Araibi, who fled Bahrain in 2014, was arrested at Suvarnabhumi Airport in Bangkok November 27 during a vacation to Thailand with his wife. The chief of Thailand’s Immigration Bureau, Surachet Hakpal, told CNN that Al-Araibi was arrested on the request of Bahrain when he arrived at the airport. He was given an Interpol “red notice” — an international arrest warrant — which is not supposed to be given to refugees. Meet the visionaries who are taking big ideas and reworking them for the everyday – and, in the process, reimagining the future of design. Al-Araibi was detained for seven days at the Immigration Bureau’s headquarters in Bangkok. Then, despite the red notice being lifted, Thailand’s Criminal Court extended his detainment for another 12 days on December 4. It is expected that on Friday, December 7, the court will decide whether an arrest warrant should be issued, and if it’s granted then the extradition process will begin for Al-Araibi, Hakpal said. 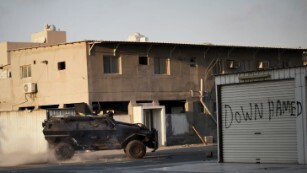 Bahrain’s government did not immediately respond to CNN’s request for comment. Hakpal said Bahraini authorities knew that Al-Araibi was arriving to the country that day and requested Thailand’s Ministry of Foreign Affairs help to detain Al-Araibi. The Thai Ministry of Foreign Affiars informed its Immigration Bureau. “They may have their own investigation team, I think,” Hakpal said. Amnesty International released a statement on December 4, calling on Thai authorities to end Al-Araibi’s detention. “Hakeem’s life will be in danger if he is deported to Bahrain,” Crisis Campaigner for Amnesty International Australia Diana Sayed said in the statement, adding that he will “almost certainly” face imprisonment and torture. Humans Rights Watch (HRW) said Al-Araibi was sentenced in absentia to 10 years imprisonment during a trial in Bahrain during 2014. He had also been previously arrested and tortured in November 2012, allegedly for his brother’s political activities, according HRW. “A former player of Bahrain’s national soccer team, he has spoken out about a senior Bahraini official’s practice of torturing footballers who participate in demonstrations,” the statement said. HRW also requested that Thai immigration authorities immediately release Al-Araibi. “Handing him over to Bahrain would be a heartless act that blatantly violates Thailand’s obligations to protect refugees and opens Bangkok up to a chorous of international criticism,” HRW Asia Director Brad Adams said in a statement. Al-Araibi escaped in 2014, Humans Rights Watch says, and was recognized as a refugee by Australia in 2017. He currently is a player on Melbourne’s Pascoe Vale Football Club.